John Booth, the Principal Consultant and Practice Director of Sylvanus Arboricultural Consultants Ltd., is a Chartered Aboricuturalist and Chartered Environmentalist and one of the UK’s most widely qualified Arboricultural Consultants. He has over 25 years experience in both the private and public sectors and has written numerous articles and papers for respected publications including the International Journal of Urban Forestry for which he is also a referee. 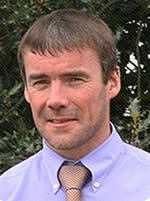 Mr. Booth is a Bond Solon/Cardiff University trained Expert Witness and a member of the Expert Witness Institute. He has many years experience in both courtroom and planning enquiries.